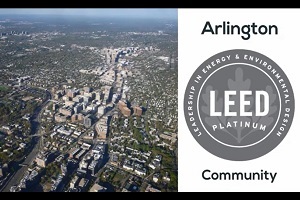 As the nation’s first LEED Platinum certified community, Arlington County is a nationally recognized leader in creating a sustainable and resilient urban environment. We have long-proven success in reducing greenhouse gas emissions, managing stormwater, fostering environmental stewardship, and promoting our residents’ health and well-being. Check out Arlington’s Energy Lending library. Make the Green Home Choice. Six takeaways from Arlington’s greenest buildings. Learn more about Rethink Energy. When it rains, it pours. 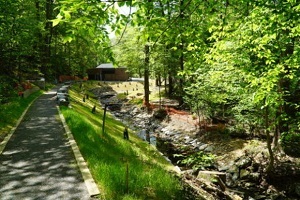 Arlington’s stormwater management program is working to keep our neighborhoods and streams safe and healthy. See how you can help. 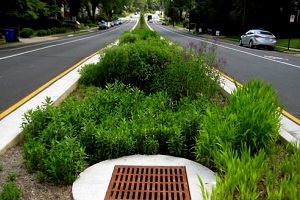 Learn more about Stormwater Management. Plant them, support them, and care for them. 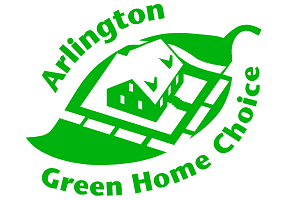 A certified Tree City USA since 2005, trees are an important component of Arlington’s sustainability. 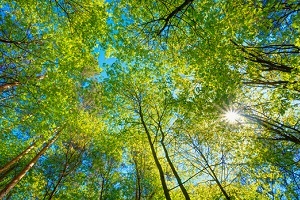 Learn more about Arlington’s urban forest. With StormwaterWise, get technical assistance and funds to deal with stormwater runoff on your property – beautifully. Learn more about StormwaterWise Landscapes. Doing a home renovation? Curious about your green choices? We can help. Learn more about Green Home Choice. The Community Energy Plan is being updated. We want to hear from you! Send us your comments about the new Community Energy Plan. Oh snap! We’re number 1. 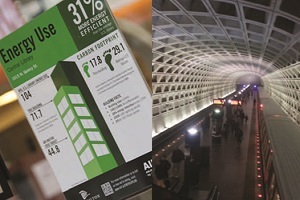 Learn more about Arlington’s LEED Platinum Certification. Just over a mile from the Clarendon-Courthouse area, this hidden gem is now in even better shape – with downstream benefits. See how Arlington improved Windy Run and the environment (photos). Did you know? More than 20% of flood claims are from low to moderate-risk areas. 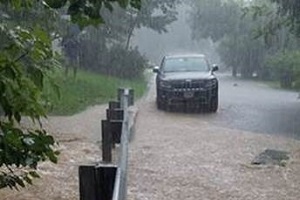 Learn more about reducing your flood risk. Habitat restoration, invasive plant removal and more. 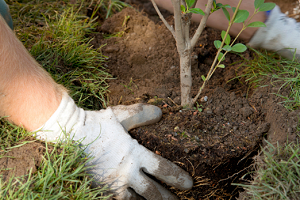 Find an upcoming environmental event in your neighborhood. 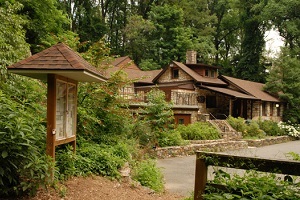 Arlington’s nature centers offer engaging programs for all ages. Check out new programs, sign up for email updates, and register. Stream pollution: just report it. Learn more about stream pollution. There’s a fallen tree and a downed power line. Now what? Sign up to receive quarterly emails with nature, conservation & history offerings.